We looked at the top 10 Bluetooth Speakers and dug through the reviews from 94 of the most popular review sites including Soundguys, Sound Vision Review, Trusted Reviews, Consumer Reports, Good Housekeeping, The Tech Insider and more. The result is a ranking of the best Bluetooth Speakers. Our experts reviewed the top 10 Bluetooth Speakers and also dug through the reviews from 94 of the most popular review sites including Soundguys, Sound Vision Review, Trusted Reviews, Consumer Reports, Good Housekeeping, The Tech Insider and more. The result is a ranking of the best of the best Bluetooth Speakers. If you're looking for a speaker you can use solely at home, the Marshall Stanmore Bluetooth speaker is a great choice. You'll benefit from best-in-class sound and easy setup. DWYM Electronics Experts plus PC Magazine, Digital Trends, Tech Radar, Consumer Reports, Tech Gear Lab, Trusted Reviews and 1 more. Along with user reviews from Amazon and Best Buy.
" Using the aforementioned settings, the Stanmore II Bluetooth delivers powerful bass on tracks with intense sub-bass content, like The Knife's "Silent Shout."" "We wished for more rock and less pop in general, and felt that instrumental definition wasn’t fully exposed." The sound of the OontZ Angle 3 is slightly weaker than other models, but the much-lower price point makes it worth considering. Its water-resistant, lightweight build may make it more ideal for those interested in using it outdoors. DWYM Electronics Experts plus CNET, Tech Gear Lab, The Tech Insider. Along with user reviews from Amazon and Walmart.
" Additionally, battery life is excellent (it's rated at up to 30 hours at moderate volume levels) and the speaker is water resistant (splashproof) so you can take it in the shower." "The bass sounds quite thin and weak, and treble often takes on a static quality, especially at higher volumes and pitches." Bose is known for its great sound, and the Soundlink Revolve doesn't disappoint. The 360-degree sound makes this one even more powerful, providing deeper tones than you'd expect from such a small speaker. DWYM Electronics Experts plus CNET, Tech Radar, Trusted Reviews, Tech Gear Lab, PC Magazine. Along with user reviews from Amazon, Best Buy, Walmart and Target.
" What separates the Bose from its competitors is the ability play a little louder, put out more bass without distorting and sound a little more natural with decent detail"
"It’s disappointing that Bose didn’t throw in the $30 (£19.95) charging dock for free like it does with the slightly cheaper SoundLink Mini II, which costs $180 (£170, AU$300)." If you're looking for rich sound in a more affordable Bose model, this is the speaker to consider. This speaker, which comes in five different colors, offers high-quality sound in a portable design. DWYM Electronics Experts plus Consumer Reports, Tom’s Guide, Tech Radar, CNET, Tech Gear Lab, Sound Vision Review. Along with user reviews from Amazon, Best Buy, Walmart and Target.
" Bluetooth pairing was among the easiest of the tested models, as the SoundLink Color is always ready to pair and its controls were well marked and intuitive." "There's no app for additional options, nor is there a built-in speakerphone." We identified the majority of the bluetooth speakers available to purchase. 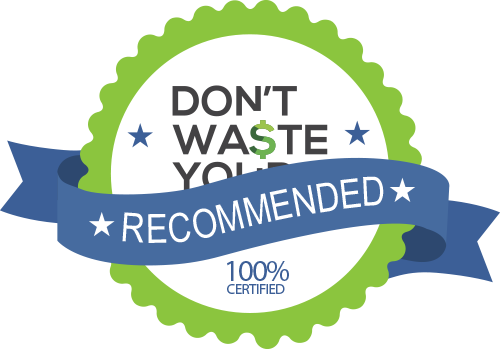 Reviews from our DWYM category experts and analysis of some of the most respected sources including: Soundguys, Sound Vision Review, Trusted Reviews, Consumer Reports, Good Housekeeping. Using the aforementioned settings, the Stanmore II Bluetooth delivers powerful bass on tracks with intense sub-bass content, like The Knife's "Silent Shout." Bass lines in all genres, from Pearl Jam to Elton John, were smooth and pure, with a pleasantly firm posture. Chromecast, Spotify Connect and AirPlay compatible, the Stanmore has Internet radio, too; all of that is configured via the Marshall Multi-Room app. This speaker was extremely easy to use, perhaps the easiest of all the tested models. It also has on speaker volume, treble, and bass controls, which are a nice touch and add to its guitar amp aesthetic. The Marshall Stanmore is a solid multiroom speaker; it’s more flexible and ‘hands-on’ than a Sonos Play:5, demonstrating well how the Marshall brand has evolved over the years. The volume, bass, and treble knobs are buttery smooth, and the last input knob has a satisfying click to it when you switch inputs. The back panel of the speaker is far less attractive. We wished for more rock and less pop in general, and felt that instrumental definition wasn’t fully exposed. That said, its lack of remote control is going to bother some people, especially those that use the Stanmore as a single speaker, with a turntable attached. It also lacks treble air and fine detail, and sounds constricted and a bit congested. However, it also fairly expensive, so much so that you could get something like the Bose SoundTouch 20 for a similar price. Limited dynamics hold back the Stanmore sound. To be fair, that also has a negative effect on the drums in my opinion. Additionally, battery life is excellent (it's rated at up to 30 hours at moderate volume levels) and the speaker is water resistant (splashproof) so you can take it in the shower. The Cambridge SoundWorks Oontz Angle 3 earns brownie points for being small and portable, but not much else. The bass on this Bluetooth speaker is also rich and thick and does not overpower the treble aspects of the sound. There's a bit of presence boost in the treble to make you think the speaker sounds clearer (it's the trend these days to boost the treble a bit), but it doesn't go too far. The bass sounds quite thin and weak, and treble often takes on a static quality, especially at higher volumes and pitches. I have not personally experienced this issue but I have also taken into consideration that this is a water resistant speaker and not a water “proof” speaker. At one time, if you wanted to listen to music at home, you needed a full stereo system, complete with large speakers and a CD or record player. But if you’re like many consumers, your music now resides on your smartphone, whether it’s songs you’ve purchased and downloaded or through a streaming service like Pandora or Spotify. Sure, you can listen to your music through earbuds or the tiny little speaker built into your phone. But what if you’re having people over? Or what if you simply want to blast some tunes to keep you entertained while you tackle some big household project? For that, you’ll need a Bluetooth speaker. Simply connect it to your phone and press play. Of course, one of the biggest benefits of Bluetooth speakers is that you can take them with you. Whether you’re planning a day at the beach or you just want some music while you’re hanging out with friends, the right speaker can have you up and running in minutes. But chances are, you’re choosing a Bluetooth speaker based on a variety of factors. Your budget is important, but you also want to make sure you get the sound you want. If you’re taking it on that beach vacation, you’ll also want to make sure it can handle the occasional accidental splash of water. With so many options, the good news is that you can easily find a speaker that checks all of your boxes at a price that fits your budget. As you’re shopping, though, consider exactly what you’ll be doing with your speaker. If you’ll be tossing it into your backpack or overnight bag, weight is an important factor. You may instead want to keep it in the shower or the edge of your bathtub, which makes water resistance important. When you factor in sound quality, the right choice will probably be clear. Bluetooth technology uses radio waves to allow two devices to communicate. At one time, making this communication happen could be clunky, but today’s phones can usually connect with just a couple of clicks. Once you’ve finished the initial pairing, your device should automatically connect when you press the power button on the speaker. At the very least, you’ll have to go to settings and click the speaker name to pair it manually. The only problem is, you may find that once you’ve added multiple Bluetooth devices, you have a hard time differentiating between them. From the start, try to give each device as specific a name as possible to help you remember it. If you’re buying a speaker, great sound quality probably tops your must-have list. No matter what features a speaker has, in the end, it’s all about the listening experience. Sound quality can be subjective, but all of today’s top speakers excel when it comes to producing clean bass without being overwhelming. You can’t go wrong with Bose speakers when it comes to top-quality sound, but don’t rule out the Marshall Stanmore Bluetooth speaker, which offers smooth bass lines and controls to let you customize your experience. One of the best things about today’s Bluetooth speakers is that you don’t have to leave them at home. But if you plan to take your speaker with you, weight is an important factor. The OontZ Angle 3 speaker wins in this area, weighing in at only 0.5 pounds. Bose’s SoundLink speakers weigh in at between 1.25 and 1.5 pounds. The Marshall Stanmore speaker is better suited for home use, with a weight of more than 12 pounds. As important as sound quality and portability are, though, you can’t get around the cost factor. Although it has the least impressive sound, the ultra-portable OontZ Angle 3 will be light on your bank account at less than $30. Compare this to the Marshall Stanmore’s price tag of around $250. You can compromise with the Bose SoundLink, which costs around $150 for the basic version and roughly $200 for the SoundLink Revolve. Portable speakers let you listen to your tunes in the shower or while lounging poolside. But you’ll need to make sure your speaker can withstand the occasional accidental splash. While none of the speakers are waterproof, two do offer a certain amount of water resistance: the OontZ Angle 3 and the Bose SoundLink Revolve. If you’re leaving the house with your speaker, you’ll want a battery that can keep you going throughout the day. The Oontz Angle 3 will provide the longest playtime, with up to 14 hours of battery life, but that’s followed closely by the Bose SoundLink Revolve, which promises up to 12 hours of battery power. You’ll get up to eight hours with the Bose SoundLink. Further adding to the Marshall Stanmore speaker’s limits is the fact that it has to be plugged in for use. For the Bluetooth Speaker category, we analyzed 94 of the most popular reviews including reviews from Soundguys, Sound Vision Review, Trusted Reviews, Consumer Reports, Good Housekeeping, The Tech Insider and more. The result is a ranking of the best Bluetooth Speakers.